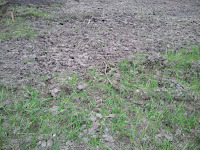 We've had another really wet cold spring. As a result the garden is quite a bit behind where I'd like it to be. Granted, the Pacific Northwest's weather is at least a month behind the rest of the country in a good year. Our summer doesn't really start until the 4th of July. 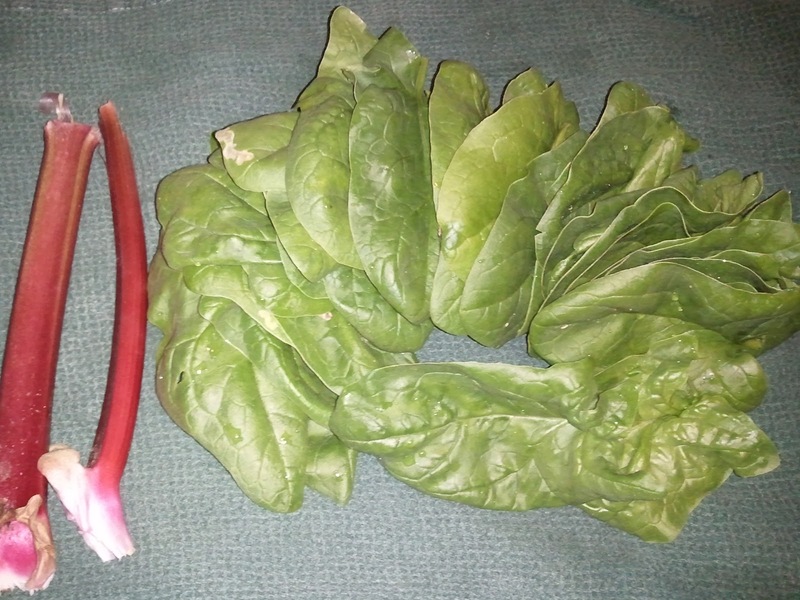 But nevertheless, I've been able to harvest a couple hand fulls of spinach and enough rhubarb to make a crisp. Most of the rest of the veggies have sprouted and are growing slowly, but I expect their growth will take off once we've had a few warm days...at least I hope so. The girl scout garden has also been planted. The plot was in really rough condition when we started, but it's looking pretty nice now. 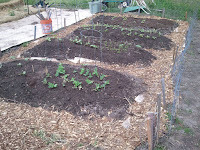 We planted cukes, peas, carrots, green beans, yellow squash, radishes and zucchini. Hopefully the full sun location we have this year will yield us a lot of veggies to donate to the food bank! Before and after of the Girl Scout Garden! What makes it a "Girl Scout" garden? My daughter's girl scout troop will be tending it this summer and all food will be donated to the food bank. The community garden has donated the plot for the past few years to local girl scout troops and we volunteer the labor to grow the veggies. I see! I thought it might be like a "victory garden" or something.